What does an effective team UX workflow look like? How can the members of your UX team engage with the data to get the most out of it and achieve alignment? 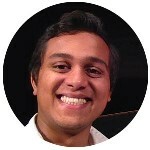 Ritvij Gautam is the Co-Founder and CEO of TryMyUI.